Bombay Stock Exchange Limited is the oldest stock exchange in Asia. Popularly known as BSE it was established as "The Native Share & Stock Brokers Association" in 1875. It is the first stock exchange in India to obtain permanent recognition in 1956 from the Government of India under the Securities Contracts (Regulation) Act, 1956. 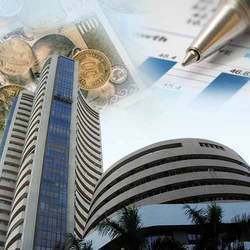 Bombay Stock Exchange played a pivotal role in the development of the Indian capital market and its index, SENSEX, is tracked worldwide. The Exchange has a nation-wide reach with a presence in 359 cities and towns of India. Since its inception BSE has played a vital role the growth of the Indian corporate sector by providing it with an efficient access to resources. The exchange provides an efficient and transparent market for trading in equity, debt instruments and derivatives. 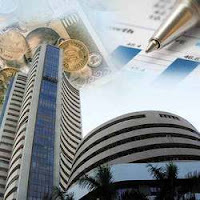 To reach out to a large number of investors BSE has launched its website in Hindi and Gujarati. Bombay Stock Exchange has several achievements to its credit. It is the world's premier exchange in terms of the number of listed companies and the world's 5th in transaction numbers. BSE is the first exchange in India and the second in the world to obtain an ISO 9001:2000 certification. BSE has also received Information Security Management System Standard BS 7799-2-2002 certification for its BSE On-line Trading System (BOLT). It is only the second exchange in the world to receive such a certification. In February 2001, BSE introduced the world's first centralized exchange-based Internet trading system, BSEWEBX.com. It enables investors anywhere in the world to trade on the BSE platform. BSE has won several awards for its efficient and responsible working. The World Council of Corporate Governance awarded the BSE with Golden Peacock Global CSR Award for BSE's initiatives in Corporate Social Responsibility (CSR). BSE has also won the Asia-Pacific HRM award for its excellent human resource practices. As BSE Sensex has only 30 scrips, a need was felt for a more broad-based index, which could also reflect the movement of stock prices on a national scale. In 1989, Bombay Stock Exchange Limited, started compilation and publication of an index series called "BSE National Index". The BSE National Index is now known as BSE 100 and since April 5, 2004 it is calculated on the basis of free-float market capitalization methodology. BSE 200 Index was constructed and launched on 27th May 1994. The number of companies listed on the Bombay Stock Exchange registered a phenomenal increase from 992 in the year 1980 to about 3,200 companies by the end of March 1994. On August 9, 1999, Bombay Stock Exchange constructed a new index, namely, BSE-500, consisting of 500 scrips in its basket. BSE-500 index represents nearly 93% of the total market capitalisation on Bombay Stock Exchange Limited. Banking sector reforms such as fall in interest rates, and enactment of Securitization Bill have given a major fillip to Indian banking industry. BSE - Public Sector Undertaking (PSU) Index is a stock index that tracks the performance of the listed PSU stocks on the Exchange. The BSE-TECk is a stock index constituted of companies in the Information Technology, Media and Telecom sectors. Sensex is the value-weighted index of the companies listed on the stock exchange. Bombay Stock Exchange (BSE) in 1986 came out with a stock index that subsequently became the barometer of the Indian stock market.